Debt is a challenge to many in this life. But what happens to your debt when you die? The answer depends on a number of factors, including where you live, the type of debt, and whether a debt is secured. Nobody likes the idea of leaving their loved ones saddled with debt when they pass away. You may wonder if your heirs will be stuck with your bills when you’re gone. The simple answer is that laws prevent debt collectors, creditors, and other entities from trying to collect money from your relatives once you’ve passed away. Your retirement accounts and life insurance payouts are typically off the table for covering your debts, as well. Whatever is in your estate, however, is technically up for grabs if creditors want to try to collect your debts. They can make claims on the money and assets you’ve left behind. Joint accounts present another complicating factor. Spouses, children, business partners, and other people you have relationships with could be responsible for a debt that’s left behind on joint accounts or shared possessions. Your loved ones will also have some extra rules to comply with if you live in a community property state. People in Arizona, California, Idaho, Louisiana, Nevada, New Mexico, Texas, Washington, and Wisconsin have slightly more to worry about when it comes to leaving loved ones saddled with debt. Are you concerned about what will happen to your unpaid bills and debts if you pass away? It’s important to know who could end up having to pay off your house, car, credit cards, or student loans. 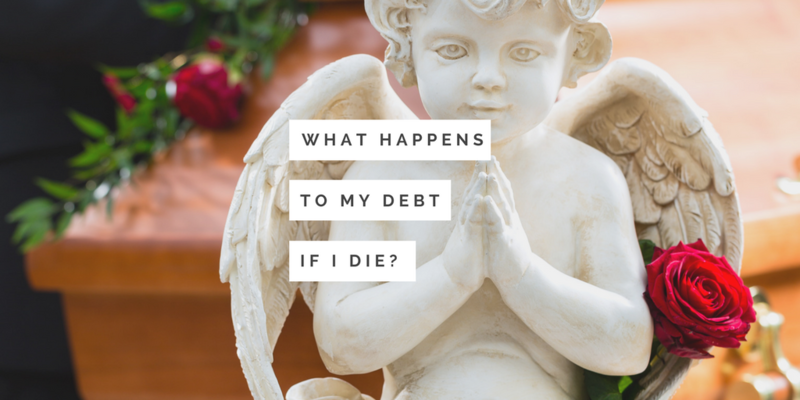 Find out what happens to the most common types of debt after death. A home mortgage is usually one of the largest debts a person could leave behind. If you co-own a house or leave it to an heir, you could leave someone with the responsibility of paying off the rest of your mortgage. Your executor will have the option to pay off the mortgage using money from your estate. However, the executor can sell the home if there isn’t enough money in your estate to cover the balance of the mortgage. An heir could have a bit of a headache to deal with if you’ve taken an equity loan out against your home, especially if it leaves the home mortgaged for more than it’s worth. Some people like to joke that the only way to avoid paying off a student loan is to die. This is a unique type of debt because it essentially never goes away until you pay it in full or pass away (or, in some cases, become permanently disabled). You can’t get rid of it through bankruptcy. But it turns out that it can even come back to haunt your loved ones. In community property states, most debts incurred by either spouse during the marriage are owed by the “community” (the couple), even if only one spouse signed the paperwork for a debt. The key here is during the marriage. So if you incur a debt, such as a student loan, while you’re single, and then get married, it won’t automatically become a joint debt. (An exception is where a spouse signs on to an account as a joint account holder after getting married.) Some states, like Texas, have a more nuanced way of analyzing who owes what debts by evaluating who incurred the debt, for what purpose, and when. Laws vary from state to state. What might be true in one state may not be the case in another. 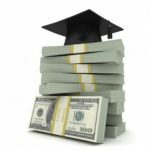 In community property states, a spouse may be liable for the other’s debts, not just student loans. This stuff is complicated, and we can’t always let common sense guide us. One good piece of news is that federal student loans are discharged when you die. In addition, Sallie Mae and Wells Fargo will forgive your debt if you pass away. Some of the newer student loan refinancing companies also allow for discharge upon death. The average American’s credit card debt is $3,600. That’s a pretty big unpaid bill to leave behind. What happens if you have unpaid credit card bills when you pass away? A credit card is an unsecured debt. It isn’t secured by assets like a mortgage is. As a result, credit card companies can’t go beyond what’s in your estate when attempting to collect payments. This means your loved ones won’t be on the hook for your unpaid credit card bills. A joint account holder, however, would be completely responsible for any outstanding balances. The credit card company can’t hold authorized users responsible for the debt in the same way, though. What happens if you’re still making car payments when you pass away? The lender won’t require anyone to finish paying off the debt. However, the executor of your estate can continue to make those payments to keep the car in your estate. There is also the option for the person who inherits the car to simply take over your payments. Your lender can repossess the car, however, if the executor misses payments. Keep the beneficiaries on your life insurance policies updated to ensure that benefits don’t end up going to your estate and getting into the hands of creditors. Your estate’s executor should notify creditors that you are deceased as soon as possible to avoid unintended missed payments. A copy of a death certificate should be sent to the three big reporting agencies to avoid identity theft or other issues that could affect your estate. Authorized users of your credit cards should stop using them right away. Your finances really do require a lifelong commitment. Unfortunately, the people you leave behind may have to carry on with some of that commitment if you’ve left unpaid debts. The important thing to remember is that creditors can’t go beyond what’s available in your estate when trying to collect personal debts. Your personal debts won’t become a burden for your loved ones to deal with under most circumstances. You can make it easier on your relatives by keeping your financial papers in order. We call it a Death Dossier. Finally, keep in mind that laws vary from state to state. It’s important to seek competent legal advice before making any decisions.